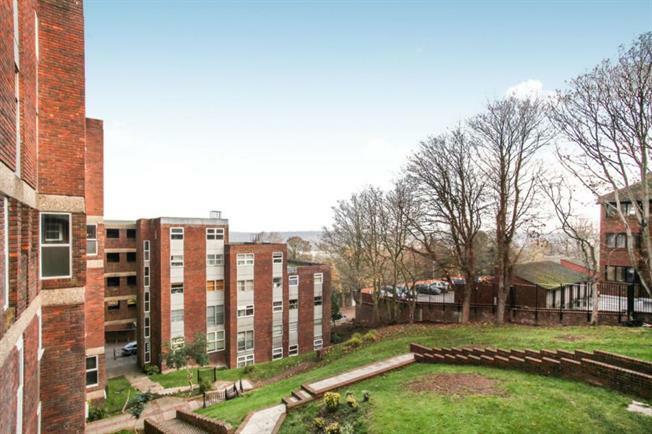 2 Bedroom Flat For Sale in Luton for £130,000. OVER 900 YEAR LEASE Located within walking distance of the town centre with its train stations and amenities is this spacious and well presented two bedroom apartment. This apartment comprises of an open plan kitchen leading onto a large living/dining room, modern bathroom and two good sized bedrooms. Further benefits with this property include parking and garage in a block and a long lease over 900 years. It would make an ideal buy to let investment or first time buy call now to appreciate the full value in this property. Entrance door, electric storage heater, wooden laminate flooring, power point(s), doors to Lounge/Diner, Bedrooms & bathroom. Double glazed window to rear, electric storage heater, wooden laminate flooring, telephone point(s), TV point(s), power point(s), archway opening kitchen. Fitted with a matching range of base and eye level units with worktop space over, stainless steel sink unit with single drainer and mixer tap, plumbing and space for a automatic washing machine, space for fridge/freezer, built-in oven, hob with extractor hood over, double glazed window to rear, ceramic tiled flooring, power point(s). Double glazed window to front, electric storage heater, wooden laminate flooring, power point(s). Three piece suite comprising panelled bath with independent electric shower over, pedestal wash hand basin and low-level WC, tiled splashbacks, ceramic tiled flooring.